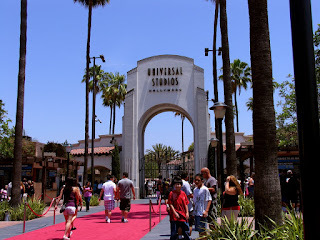 Today I decided to go over to Universal Studios which is located about ten minutes from where I live. I have an annual pass so it doesn't cost me anything to go watch tourists being tourists. This is far more entertaining than any of the rides. The first stop is the red carpet. This is so that you can feel like you're a celebrity no matter what your socio-economic status. The guy (I think it's a guy?) 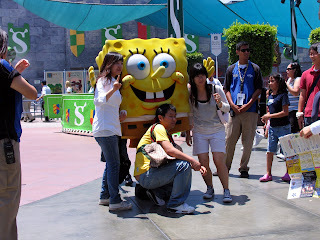 has his eyes closed which is ruining this great picture with Spongebob. Boy, are the girls ever going to hate their friend when they get back to Korea. This is the set from War of the Worlds. 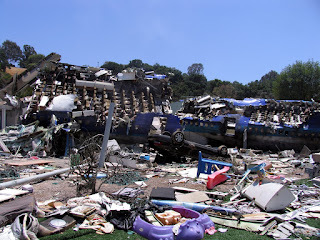 They recreated a plane crash in a suburban neighborhood, which is apparently quite messy. According to our guide, who was full of fascinating info, a real plane was used. Shrek and Donkey. 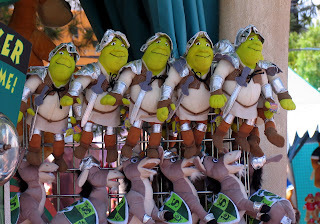 Donkey is looking up Shrek's skirt and Shrek seems quite happy about it. 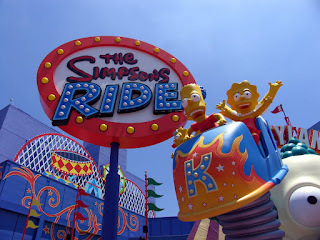 The new Simpson's ride! No, I didn't go on it. The wait was over an hour and although I love the Simpsons, I thought I would wait for a slower day. 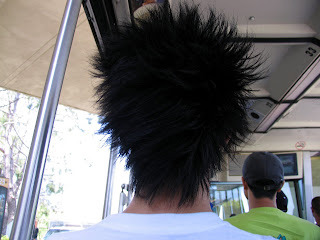 While I was waiting for the Studio Tour tram to start, I decided to take a picture of this guy's head. I was bored and I was pretty sure that the guys next to me didn't speak English. Marilyn was even there. 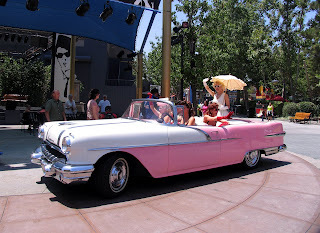 She looked very pretty in pink. 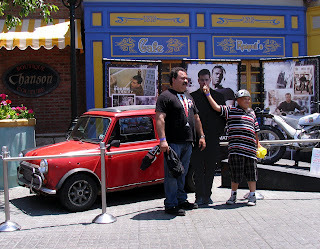 A little adult humor in a theme park geared towards kids. Tsk tsk. 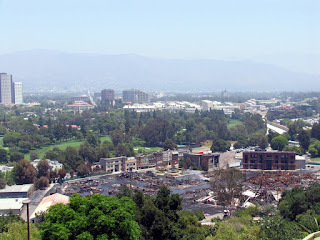 Last weekend, the backlot at Universal burnt down. Unfortunately King Kong went up in flames as well as many facades. Although the guide said that the Studio Tour would not change, KING KONG was sorely missed. I guess they didn't want to show a giant charred ape. This kid looks so damn smug that he can stick his finger up Matt Damon's nose. His papa must be so proud! These are two cars doing the Macarena. This is Wisteria Lane from Desperate Housewives. I've never watched one minute of the show but damn, it looks like a nice neighborhood. And how about a video of the War of the World's set. 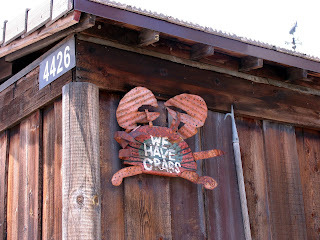 I was disappointed that I didn't see any body parts. They should have put a head or a couple of kidneys lying around for more realism.